than in any other field. NOW is the time to invest in residential rental property in Western Washington. Job growth is expected to rebound more strongly here than other parts of the country. We have a very diverse economy and we don't depend on just one industry. Our region is one where people want to live, so we attract the educated and affluent from around the world. A shortage of homes available for rent is expected to return to the Puget Sound region by 2013 or 2014. Michael Cornell offers a full range of services to Buyers and Sellers of duplexes, triplexes, fourplexes, apartment buildings, rental houses and condominiums, and specializes in small to medium investors. "I believe the best long-term investment you can make is in residential real estate such as single family homes, condominiums, multiplexes and apartment complexes. I don't handle larger commercial properties such as shopping centers and office buildings. I think it is best that I stay focussed on my specialties and allow others to focus on theirs. If you would like to purchase a shopping center or office building, I would be happy to refer you to a specialist in that field,"
Owned Investment Real Estate and Ready for the NEXT STEP? You may have owned investment real estate for some time, and are ready to transition out of being a landlord an into a more hands-off investment. You might be able to do this while still investing in real estate. There are properties available with seasoned on-site professional management, as well as Real Estate Investment Trusts, which spread your investment out over many properties with other owners. I am happy to connect you with a licensed financial advisor who can help you examine those choices. Together, we can help you make the transition. "We have helped countless individuals make their goals into realities and financial dreams come to true, through successful real estate investing." 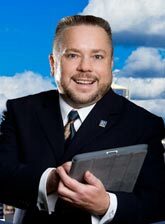 Buying or Selling, Michael Cornell has the contacts, skills and experience to help you obtain the best price and terms for your investment real estate. 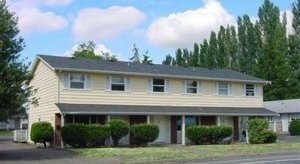 Whether you are interested in purchasing your first duplex or want to do a 1031 tax-deferred exchange with a multimillion dollar apartment complex, call Michael Cornell at 206-786-1789 today.